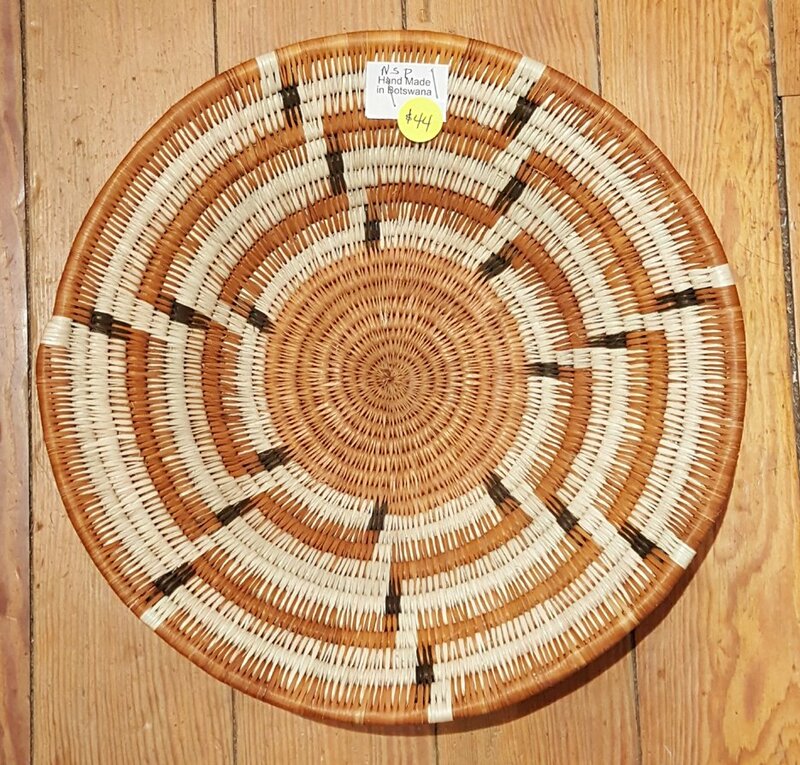 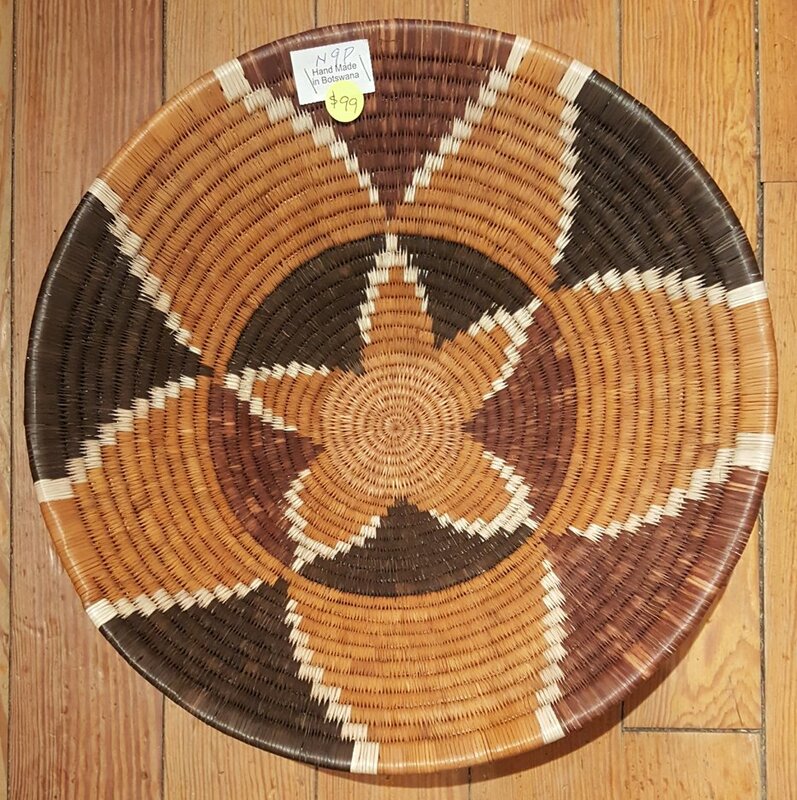 Baskets woven by women of the Bayei and Hambukushu tribes in northwestern Botswana are among the finest in the world. 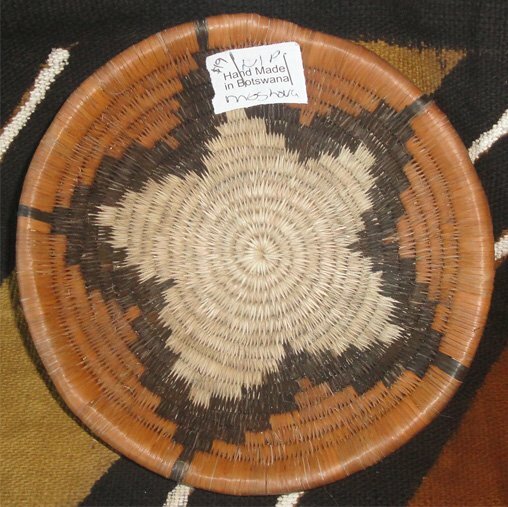 Lidded baskets are used for storing grain, seeds, and sometimes sorghum beer. 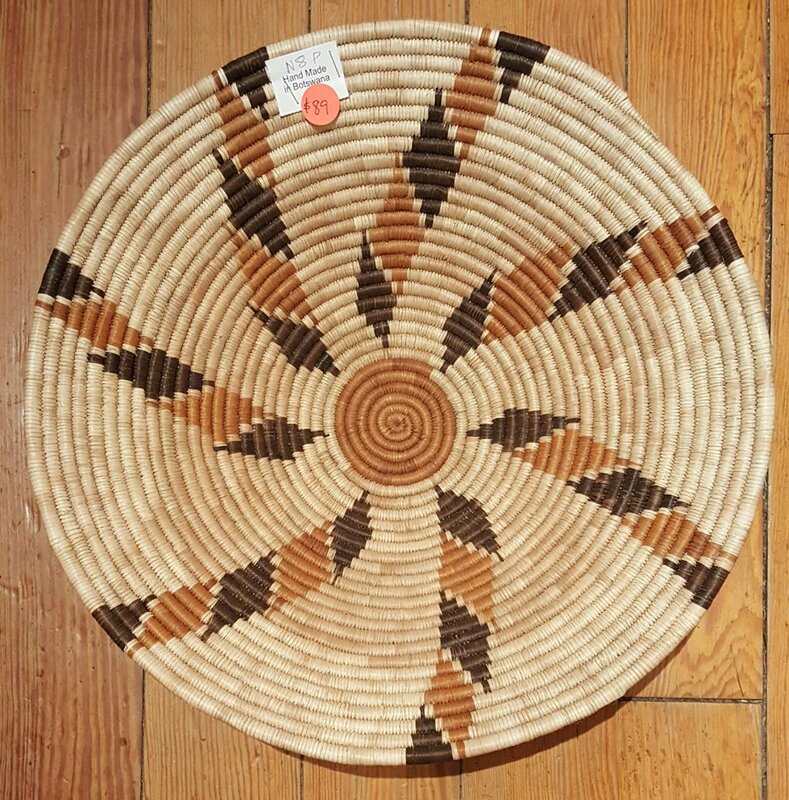 Large, open bowl-shaped baskets are used by the women for carrying items on their heads and for winnowing grain after it has been threshed. 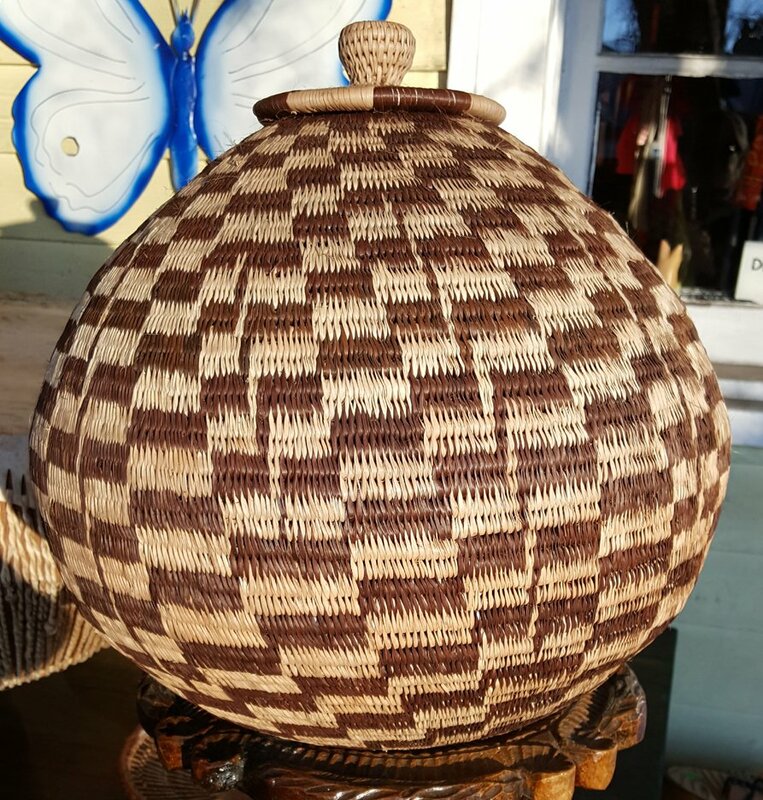 Botswana baskets are impressive by how tightly they are woven and how perfect they are inside and out.